The “fast-paced” inside story of the manhunt for bloodsucking serial killer Richard Chase (Publishers Weekly). 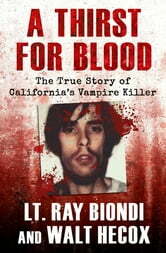 Written by the case’s lead homicide detective, this gripping true crime account details the killing spree of one of California’s most gruesome murderers: Richard Chase, aka “the Vampire of Sacramento.” In January 1978, Sacramento police found the corpse of Teresa Wallin, a loving wife and soon-to-be mother. Veteran detective Lt. Ray Biondi immediately knew the case would be unlike anything he had ever seen before. The victim’s body was deliberately disfigured in nightmarish ways, and evidence suggested the culprit had collected large volumes of her blood. In less than a month, a two-year-old boy was missing, and two men, another woman, and a five-year-old child dead, their bodies contorted, like Wallin’s, to fulfill the killer’s demented sexual desires, and—most disturbingly—his taste for human blood. Previously published as The Dracula Killer, A Thirst for Blood is a riveting report of the investigation, from eyewitness testimonies to the discovery of the crime scenes to Chase’s interrogation. 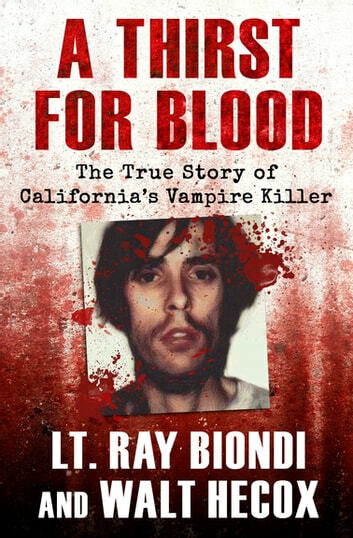 Lieutenant Biondi and his coauthor, Walt Hecox, provide an unflinching look at the “vampire killer” and the cunning police work that finally put an end to his reign of terror. The inspiration for Investigation Discovery’s Lore: Deadly Obsession and episodes of CSI and Criminal Minds, Chase’s crimes continue to haunt the world generations later.